Place onion in a jar or bowl (I like to use a mason jar). Pour vinegar mixture over the onions and let sit at room temperature for at least 1 hour if you’re in a rush. Preferably, cover jar or bowl and place in refrigerator for at least 1 day. Pickled onions will last for a few weeks stored in the refrigerator. MMMM I LOVE PICKLED ONIONS. Wonderful recipe. 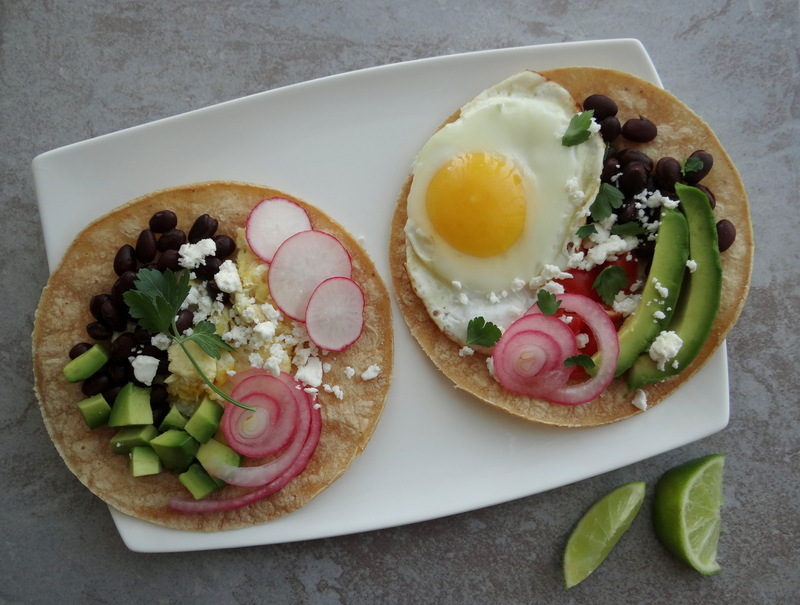 I’ll be sure to pickle onions one day to make myself some yummy huevos rancheros. Anything with eggs & avocado = I’m all over it. Love that these are vegetarian too. 😀 Great new addition. Keep up the great work! I’m definitely going to try this this weekend! I’m still haven’t had breakfast today and looking through this isn’t helping! Seriously sounds amazing.